It’s time to get into the Christmas spirit and visit Santa at the Irish Linen Centre & Lisburn Museum. Meet Santa in his cosy Victorian grotto and tell him your Christmas wishes. Each child receives a special gift, and you can even take your own photo to capture the moment! Visits to see Santa are £1 per child, with all proceeds going to Mayor’s chosen charity, Cancer Fund for Children. 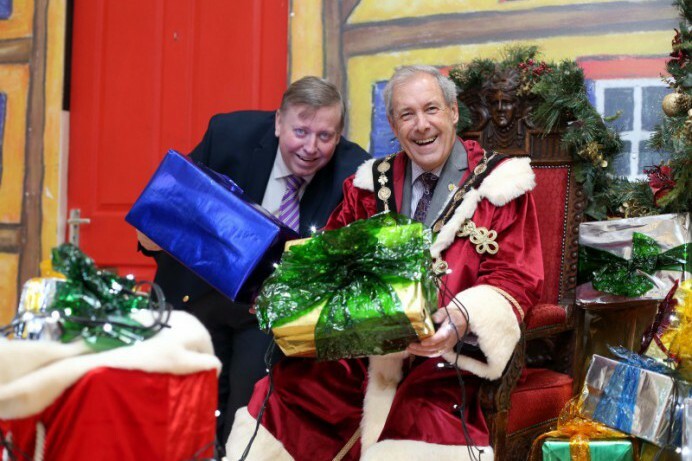 Alderman Paul Porter, Chairman of Council’s Leisure and Community Development Committee, encouraged residents across Lisburn & Castlereagh to “come into the city, enjoy the Museum’s exhibitions and bring your children to meet Santa, all in aid of a very worthy cause – the Mayor’s Charity. Saturday 1st – Monday 24th December, 2018 from 10am – 3pm (except Tuesday 11th and 18th, and each and every Saturday when the grotto is open to 4.30pm). The grotto is open late night on Thursday 13th and Thursday 20th December, until 8.30pm. On Christmas Eve the grotto is open 9.30am – 12.30pm. For more details, or group bookings, contact Museum reception. Email: ilc.reception@lisburncastlereagh.gov.uk or Tel: 028 9266 3377.